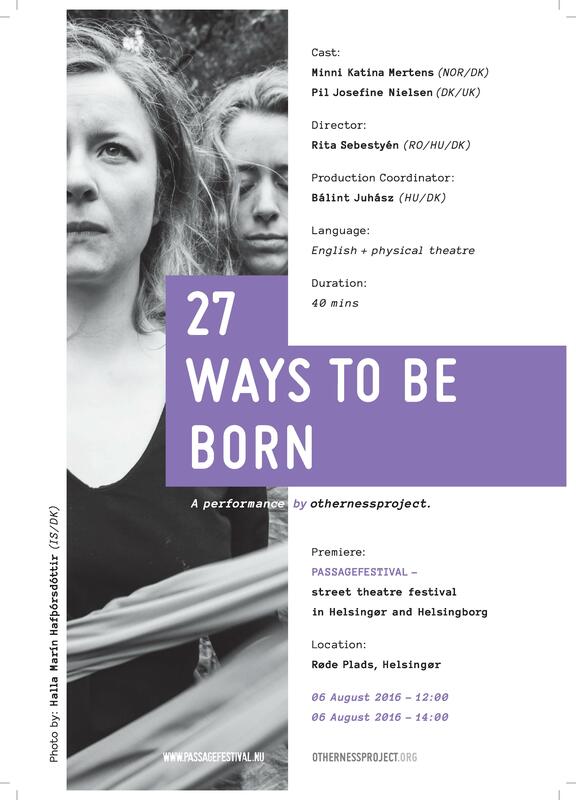 27 ways to be born is a collective drifting through stages of transition, in-between, passage. Sensing communion and individuation, also transition states of natural/artificial, alive/lifeless, instinctual/reflective are explored together with the participants. The phase of start, initiation, and birth of a being or a process is experienced on a metaphorical level, throughout a series of mostly physical theatrical scenes that follow a simple, loose story line. The performers invite the audience to take part in the performance according to their choice: from watching to moving, commenting, and sensing. As an inspiration, we use birth stories collected from Africa, South-America, India, all over Europe, and always reach out and involve the local community. We speak the language of movements and senses, but also deliver shorter texts in English and some lines on the mother tongue of the performers and participants.